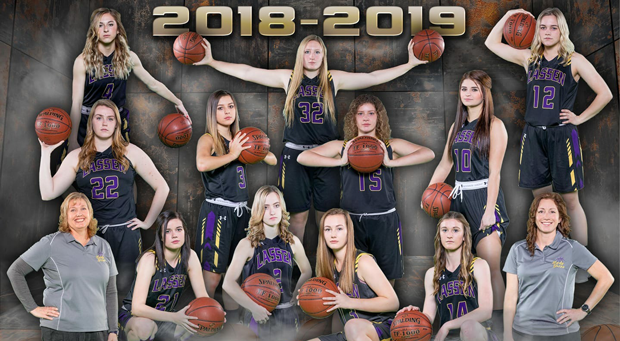 The Lassen High Lady Grizzly Varsity basketball team made history Friday night by winning the league championship for the first time since 1982. The team won Friday’s home conference game against University Prep from Redding, by a score of 54-51. The win secured a home game to kick off the NSCIF Girls Basketball Div 4 tournament this Thursday, February 14th, at 7:00 at Lassen High. The visiting team is still to be announced. Everyone is invited to come down and cheer on the Lady Grizzlies! 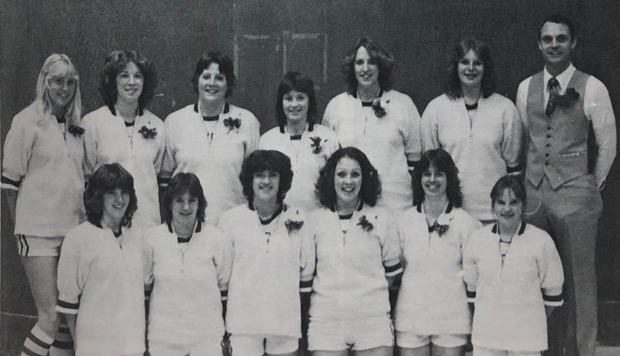 The 1981-1982 LHS Varsity Girls Basketball League Champions – Back row: Denise Lindstrom, Penny Carlson, Biz Meinert, Sandy Wheeler, Becky Rice, Debbie Brabham, Coach Bob Wall. Front row: Lisa Middleton, Donna Wobbe, Jeanine Miller, Toni Anguis, Debbie Craig, Lorynn Vossler. Nice work ladies!! Congrats !! Congratulations. Way to go good job well done. I didn’t play, but I was there = in the 80’s!!!! !